If you are any kind of position to lend other entities supplies, then it is likely that you might maintain tools like loan agreement templates. Of course, there are other tools you might want to use a loan policy. This could make it all the easier for you to be more consistent, particularly with giving potential borrowers general procedures and guidelines for requesting loans from you. 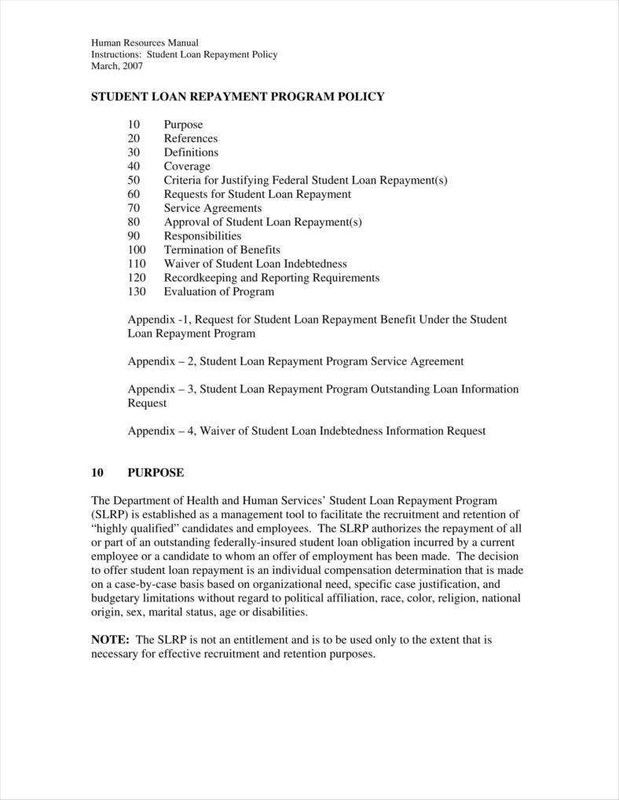 Naturally, these would also make it easier for borrowers to use their own tools like sample student loan promissory notes since the procedures could give them guides on how to proceed. But if you were to use your own loan policies, it would help to have a clearer idea as to how to make them, which would require some more insights into what these policies can do and how that can affect how you use them. 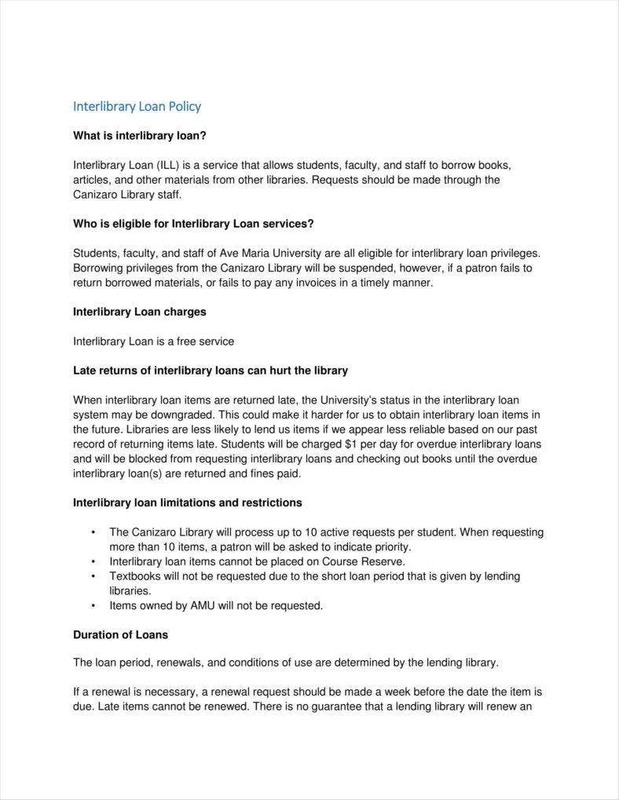 What items can be covered by loan policies? One thing that could help you gain a better understanding of loan policies is knowing what could be covered by loan policies. The concept can actually be more general than it sounds since it would take up more than one might expect. With that in mind, it would be to your advantage to know in what areas you can apply your policies to make the most of them for yourself. The most obvious use of loan policies would be to enable loans of funds, which might well be the first thing that comes to mind. 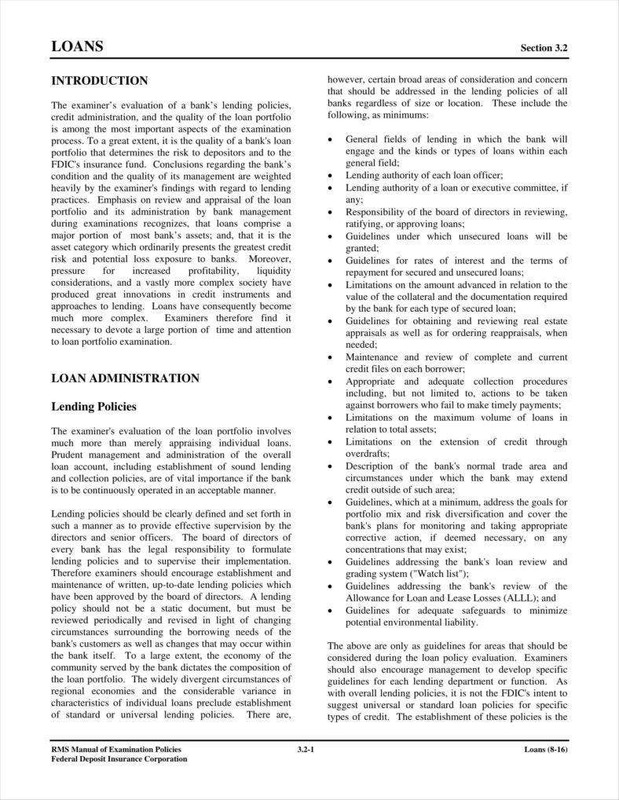 After all, many examples of loan contract templates generally have funds in mind, to say nothing of the many institutions that can possibly loan money to potential borrowers. Of course, there can be more to lending money than the obvious causes like lending money to businesses and investments. It would be possible to lend funds for research or education as in the case of student loans, which add more dimensions to the idea of lending funds. 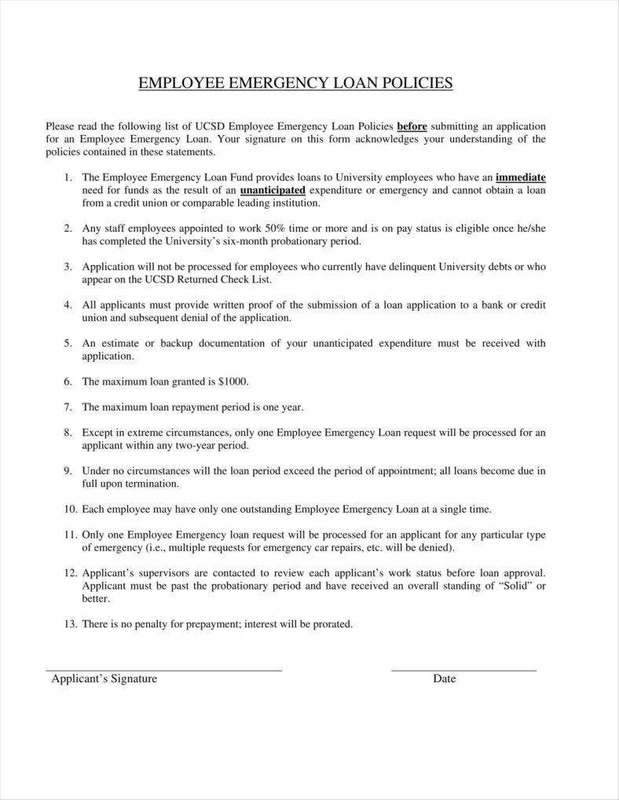 There can also be emergency loan policies that can make it easier for members of a given organization to borrow money on short notice when borrowing from other sources would take too long. In the case of schools and libraries, it would be possible to lend out other resources related to their work such as books. This could make it easier for such institutions to share information and sources, particularly if the sources in question are either hard to find or are more specific to certain locations as might be the case with research papers and theses. In fact, some of these institutions maintain inter-library lending policies to arrange to lend their sources into a more organized system. Like any other loan policy, these systems can also make use of other elements like loan receipt templates in order to make the loans official while also making it easier to keep track of whatever they lend. It would also be possible for you to maintain loan policies for equipment, as might be the case with laboratory equipment or other technical equipment. 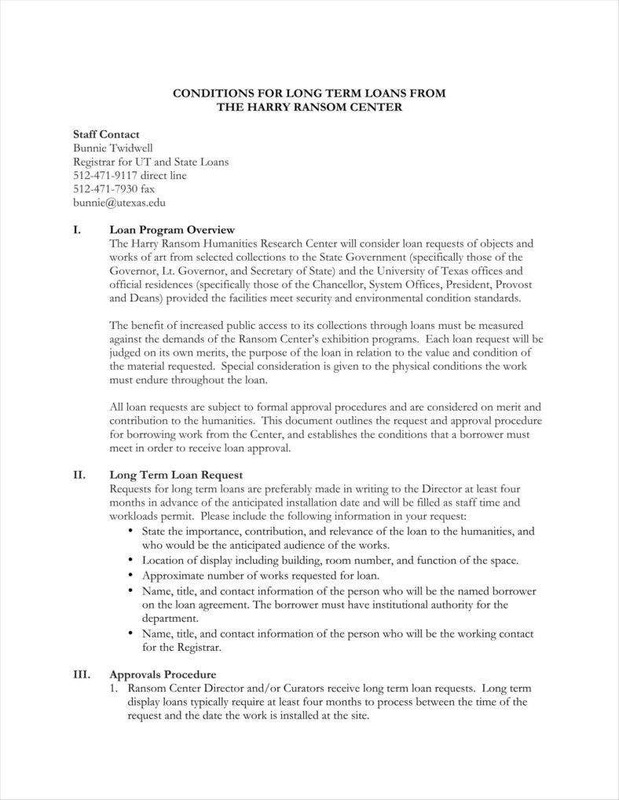 This differs from a dedicated rental business in that there are likely to be more restrictions in your loan policy for equipment such as permitting only registered members of your organization, which can include students, employees, and so on. In conjunction with your policy, you might need to make use of sample loan rejection letters if you ever find a reason to deny any application. After all, your equipment is valuable, and you would want to be strict about whom you allow to use them. Your policy should be in place precisely to ensure that your borrowers use the equipment responsibly, which would be why you need to be selective when it comes to borrowers. Another kind of loan closely related to research would be for research samples. This can be made possible if you have some kind of agreement with other institutes that would allow you to cooperate closely with one another for a study. Much like a policy for lending books and equipment, this can help facilitate greater learning and an exchange of ideas between institutions. 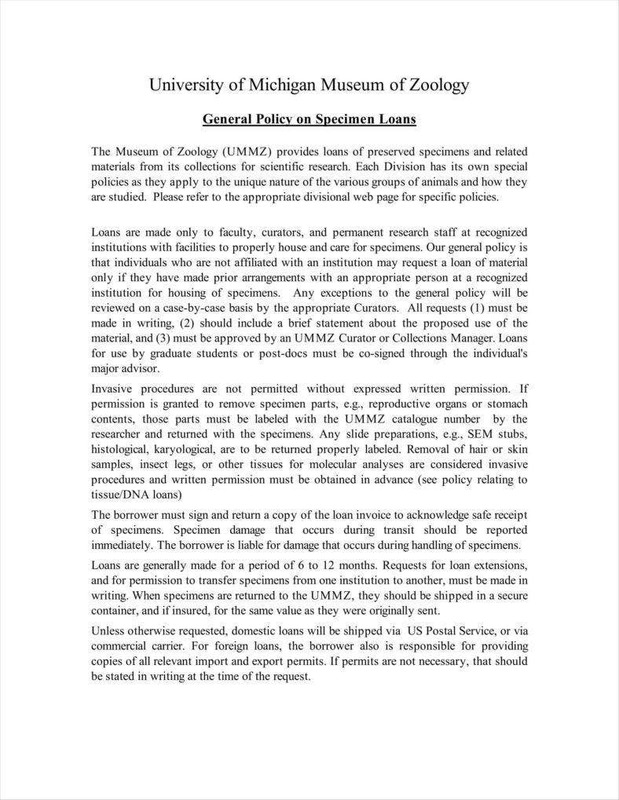 This means that your policy can make use of loan agreement templates in order to make sure that you can keep extra tabs on any research samples you might lend out. This would be particularly important for you in order to make sure that your samples are not lost, which could be disastrous for you and your work. It would also help you to know exactly what functions loan policies can have, the better to apply them to your own. This would help you make sure that you actually use your loan policies to the fullest since you should have a greater awareness of what they can do for you. After all, keeping these insights in mind can make sure that you catch everything you need to in order to make your own loan policies properly. The most basic function of any policy, let alone a loan policy, is to list the necessary procedures involved. 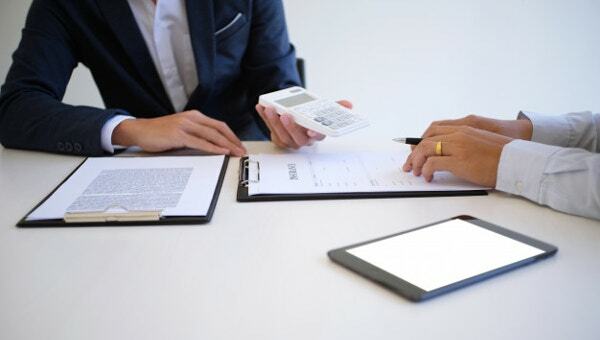 For a loan policy, this means that you would need to include whatever procedures would be necessary to facilitate loans, such as how to apply, what might be required, and so on. 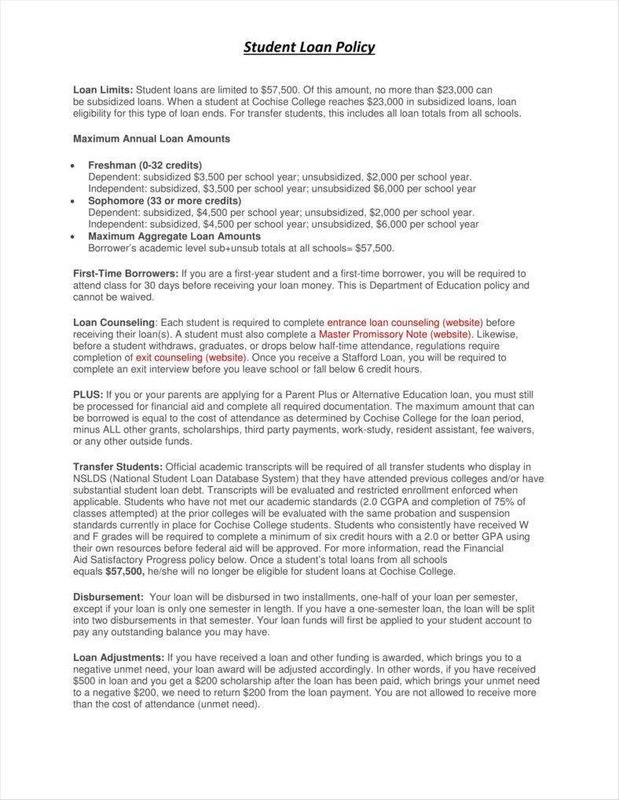 This can be coordinated with any sample loan application templates you might have to make the task of applying for loans all the easier for your applicants. After all, your policy can serve as a guide for helping them through the process, which might be difficult for people to carry out. Having the guide also helps both you and your applicants prepare things ahead of time, making the process of application flow more smoothly on both sides. One aspect of loans is the fact that they are naturally temporary and what is loaned is expected to be returned, which would make it possible for you to use loan payment schedule templates. 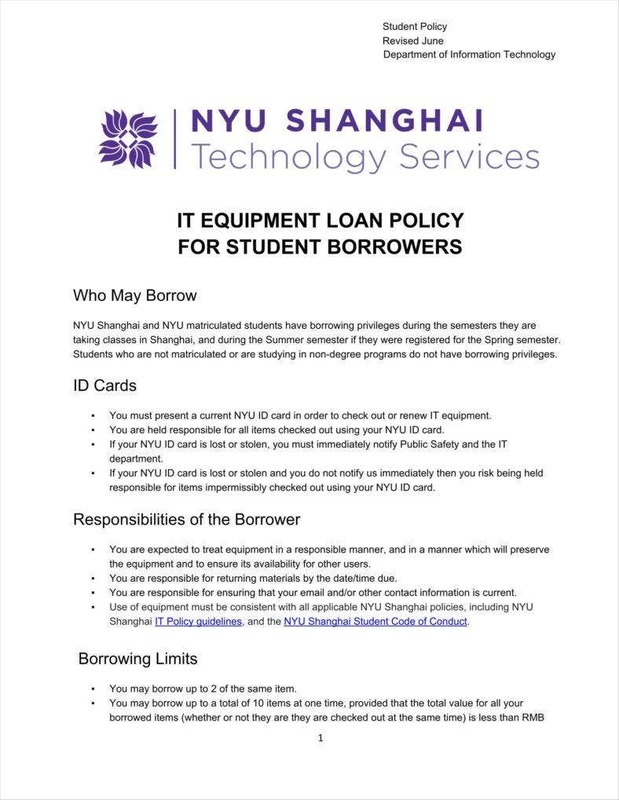 While this is most obvious in the case of equipment, it is still to be expected that one would return what is borrowed, including money. As such, your policy can and should be sure to list the duration of loans so as to inform potential borrowers of how much time they have before they need to return what they borrowed. This also serves to let borrowers know how best to use their time in order to properly return whatever they happen to have borrowed from you. However, in the event that the borrower needs to extend the loan, your policy can also include mechanisms to extend the loan to keep them able to use the borrowed resources without incurring any penalties. Being that a borrower does not own what they borrow, they would be expected to take great care of the loaned items. With that in mind, you would need to include the responsibilities of your borrowers in your policy to keep them aware of what they need to do regarding the care of what you loan them. This would allow you to make sure that your borrowers understand all the details of properly taking care of what is loaned, particularly if those items have some specific needs for them to be cared for properly. Your policy can do this precisely to give your borrowers an idea of what would be necessary to care for the items, as well as an implicit warning concerning all that would be implied by their taking the items into their care. 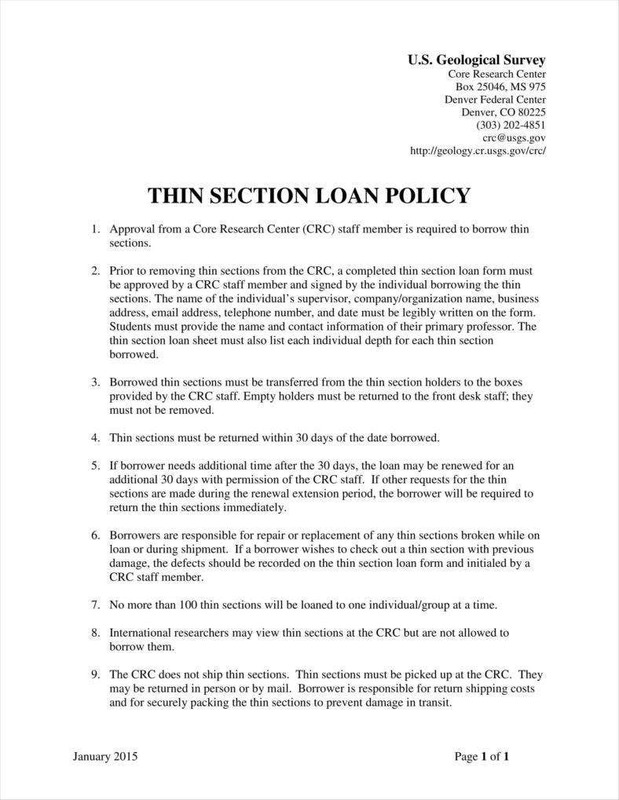 Like any other policy, your loan policy needs to include any sanctions for violating the policy in any way. This can include such things as failing to take care of what you loan them, as well as failure to return the items on time. Your policy should include sanctions to serve as a guide for what to do and how to act in the event that borrowers should violate your policy. It is important that your sanctions be proportionate to the violation, so having a system makes it possible for you to act consistently and appropriately for any such violation. You can also use this is a warning to your borrowers to be sure that they act responsibly. It is to be expected that not everyone who applies for a loan is necessarily accepted. Your policy can make sure to impose standards on those who apply for a loan, which can go some way toward helping you screen applicants to get the most trustworthy ones. This can be seen in applications to money loans, as applicants would need to provide collateral, or else some other way of proving that they can make good on a loan. In your case, you might also restrict application only to members of your organization as they would be accountable to you, to say nothing of your ability to keep tabs on them more directly. You can use loan rejection letters to deny applications you think are less than trustworthy. With the help of a policy, you should have a much easier time making use of other tools like sample loan application letters. By now, you ought to have a better idea of how such tools work, which should make your work considerably easier since you would know to make the most of your own policy.